I’m 34 years old, and I’ve never seen a dead person. This strikes me as odd. I ask my friends about it. Some of them are doctors and are surprised; a few have been to open-casket funerals. But many are like me: they’ve witnessed any amount of on-screen, simulated carnage, and nary a real-life death. Flick around television channels of an evening and there’s no shortage of corpses. In nightly crime dramas they’re being unearthed in the foundations of buildings, stumbled upon by unsuspecting dog-walkers, stretched on slabs at the city morgue. I can’t help but feel, lamely, that it’s different in real life. And that our ancestors would have found my glib familiarity with fictional homicide, combined with my complete inexperience when it comes to “normal,” everyday death, bemusing. Even in fiction – whether on page or screen – the routine sort of dying doesn’t appear as much as it used to. I’ve spent an inordinate amount of my life reading Victorian novels, which major on the deathbed scene. Charles Dickens and his contemporaries are often sneered at for the sentimentality of these moments. But, if I’m honest, I find it difficult to gauge their unrealism. Most of us simply have not been there. We have not sat up nights, part of a family chain of round-the-clock care. We have not listened for final words, fielded final requests, sat vigil over the body of a loved one once the struggle is over. We have not seen death as part of the furniture of our lives; it has been banished from the familiar rooms where the rest of our memories accumulate. It’s natural that, as the experience of tending the dying has disappeared from the lives of almost everyone not professionally involved in the task, it has disappeared too from the stories we tell. And perhaps it makes sense as well that, as we’ve gradually cordoned death off from everyday life, various forms of assisted dying have become more and more plausible, even appealing to us. I’ve watched the euthanasia debate gear up once again, with recent laws passed in Victoria and narrowly defeated in NSW. I’ve felt uneasy about it, but also unqualified to comment. I am not elderly, or terminally ill. I have not had to suffer with a loved one as they died a painful, protracted death. I’ve never even seen a dead person! What do I know about it? But I have begun to ask, lately, if my (relative) youth and (near-total) ignorance are precisely why I should care where this conversation takes us, and why my opinion ought to count. This society is the one I will likely live in for some decades yet, and the one I’ll die in when the time comes. It’s the one in which classmates and friends of mine have been committing suicide for the last twenty years, and where the generations behind us are bumping up against an ever-spiking youth suicide rate. It’s the society that will shape how we approach our own deaths, and what choices are then opened up or circumscribed for us, what choices seem rational or normal or honourable. It’s the one where we never seem to talk about what dying is really like, or should or could be like. What is decided now about death and dying matters to me. The question, What is a good death? matters to me. For generations, Christians specifically petitioned God for the lingering kind of death that most of us now dread. They wanted time to die “well” – to get their spiritual lives in order before departing. She describes the euthanasia debate as a form of “death talk” filling that void; and euthanasia itself as a “control mechanism for the fear of death,” a way of dealing with a “free-floating anxiety” about our inevitable demise for which we have no outlet. For generations, Christians specifically petitioned God for the lingering kind of death that most of us now dread. They wanted time to die “well” – to get their spiritual lives in order before departing. We want to go in our sleep, quickly and quietly, no pain, no burden to anyone else. Essentially, we want to skip the dying part that precedes death – we don’t want to be there, to be present, when it happens. An Anglican minister I know told me about a funeral he conducted recently. He didn’t know the deceased, who was a policeman. There were about 130 people there, mostly cops and bikies. The funeral service involves a sermon, which in this case went something like: we stand in the presence of death here, a sobering reality; comfort may be found in Jesus, the good shepherd; it is better to go to the house of mourning than the house of feasting, because this is the end for us all. Not even in church these days will you usually hear much about death. In December 2008, I sat in the pews of a church in Cambridge as the vicar explained to his congregation the diagnosis he had just received: gallbladder cancer, which had spread to the liver and was past either surgery or radiotherapy. The oncologist had given him a prognosis of six to nine months. Mark had been vicar of St. Andrew the Great for more than twenty years. He was loved and respected by both the oldest and the newest members of the church. 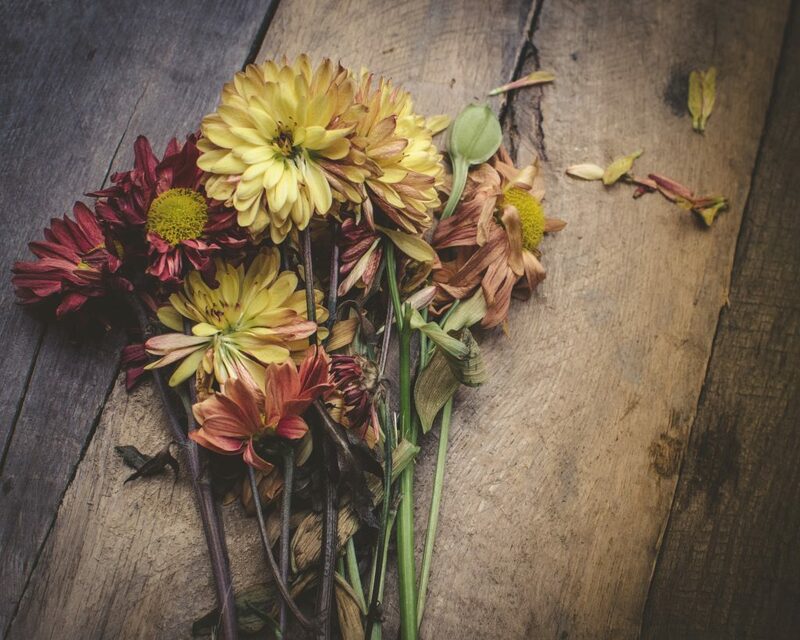 But in the months that followed he spoke often and freely from the pulpit of his failures – including his neglect of a task that he believed was incumbent on him as a pastor: preparing us for death. He quoted Sir Thomas Browne: “The long habit of living indisposeth us for dying.” With humour, honesty and a radiant joy, he gently turned our attention again and again to the reality of death and how the process of dying could be navigated. He showed us what it was to die well; helped to expand our moral imagination when it came to the prospect of our own deaths. Who is preparing you to die? Who fills that role for most of us? Andrew Denton, television personality and founder of Go Gentle Australia? Dr Philip Nitschke, director of Exit International? In October last year, Exit International announced the launch of the “Sarco” capsule, a euthanasia machine developed in the Netherlands by Nitschke with engineer Alexander Bannink. The press release images show a sleek, space-age-looking lozenge plonked in a green field, or on a beach at sunrise. The Sarco can be 3D printed and assembled by anyone. The user then completes an online mental questionnaire in order to access the capsule, clambers inside, closes the lid and waits as liquid nitrogen depletes the oxygen level in order to bring about a rapid and peaceful death. The capsule can then be detached from the reusable base and used as a coffin, and another one then printed in its place for the next user. I did some googling when I came across this macabre story to make absolutely sure it wasn’t satire. Nope; serious news outlets were reporting it across the board. I couldn’t help but wonder: has Philip Nitschke never read a dystopian novel? A novel where life becomes so “civilised” – so hygienic, so controlled, so un-messy – that it crosses the line from humanity to horror? Is uninterrupted comfort and pleasantness truly my highest goal for the length and breadth of my life? Is it a worthy one? In Aldous Huxley’s Brave New World, “the Savage” John, in his climactic conversation with the Controller, Mustapha Mond, objects to his society’s determination to edit out everything that might be unpleasant. “We prefer to do things comfortably,” the Controller explains. How is it that we read the dystopias of Orwell or Huxley and see Donald Trump, but not assisted dying? Like “the Savage,” I feel pretty hesitant about “claiming” the right to grow old and ugly, to get cancer, to be hungry or in pain. I avoid physical and emotional discomfort, let alone outright pain, at just about any cost. I dread the losses and indignities of serious illness as much as the next person. I’m drawn to the logic of euthanasia, that a “good death” primarily means one that involves a minimum of suffering, of any kind. But I’m also repelled by it. Is uninterrupted comfort and pleasantness truly my highest goal for the length and breadth of my life? Is it a worthy one? Our society does an impressive job of eliminating much of the pain and loss that was inevitable for previous generations. It doesn’t do nearly so well at providing us with resources for how to deal with suffering when it does come knocking – as it still does, with absolute inevitability. The appeal of assisted dying rests on the premise that suffering can only be pointless, and that the most dignified response available to us is to bypass it politely. Frankl’s almost cheerful contention that suffering can be a human task and a human achievementis disorienting, even appalling to the twenty-first-century ear. But it’s hard to maintain that, either personally or professionally, he does not know of what he speaks. Is there a right and a wrong way to die? Or a worse and a better way? We do on the whole, I think, want to “live well” and devote our energies both to figuring out what that means and then trying to achieve it. But it sounds odd to suggest that dying is also a moral enterprise, a task that some might perform “better” than others. There’s no right or wrong way to grieve, we say. Everyone grieves differently. And surely dying is the same. One of the obstacles to approaching death as something we might want to “do well” is the silence in which the experience itself is shrouded. Certainly when it comes to grieving, past generations would have assumed that there were right – or better – ways to go about it. There were rituals to perform, motions to be gone through, outward symbols of inner processes accepted and understood by everyone. Wearing black for twelve months after a husband’s death seems restrictive, but is there something healthier about it than our own attempts to “move on,” to resume “normal” life within days or weeks of a seismic loss? Is there a comfort and purpose in knowing exactly what is to be “done,” what is expected of us, at a time of shock and deep sadness? One of the obstacles to approaching death as something we might want to “do well” is the silence in which the experience itself is shrouded. Dread feeds on the unknown. For instance: how much does it hurt to die? A fearful lot, surely. The stories that do filter through the wall of silence are of excruciating final days or even weeks, deeply traumatic for the sufferer and also for their family. Is that simply what death is like? The experts say no. In a recent article for The Conversation, researchers from the University of Wollongong write that more than 85% of palliative care patients have no severe symptoms by the time they die; that pain, fatigue, insomnia and breathing issues actually improve as people move closer to death. They cite the Australian Palliative Care Outcomes Collaboration, which found that 7.4% of patients reported severe pain at the beginning of palliative care, and 2.5% reported severe pain in the last few days. A 2015 paper in the medical journal Psycho-Oncology, “Conceptual analysis of suffering in cancer: a systematic review,” also emphasises the non-linear trajectory of suffering. The authors note that, rather than simply getting worse and worse as an illness progresses, pain oscillates, it comes and goes. They also observe that pain and suffering are not the same thing; and that one of the pathways to follow suffering is an experience of transcendence, rather than continued suffering. I feel cautiously reassured by findings like these. I’m also struck by the fairly high consistency of medical opposition to assisted dying. Of the World Medical Association’s 109 constituent National Medical Associations, 107 oppose euthanasia and physician assisted suicide. In 2016 the British Medical Association voted 63% to 37% against changing its stance on the issue even to a neutral one; it was the seventh time in ten years that the proposal had been raised, and voted down, at their annual meeting. If doctors oppose euthanasia in greater numbers than the general public; if palliative care doctors oppose it in greater numbers than their colleagues in other fields, as also seems the case; then it does look rather like the closer you get to the daily realities of death and caring for the dying, the less appealing euthanasia looks. And yet, those stories. Heart-rending accounts of physical and mental anguish, undiminished by the drugs available; the helplessness and fury of loved ones; the full ugliness of death. Regardless of how rare this is, the only humane response seems to be: how can we make sure this never has to happen, to anyone? Can’t we do something? This is only to acknowledge that lines are blurry; the jaggedness of human experience is irreducible, imperative, and not to be gainsaid. We face terrible choices and do our best. 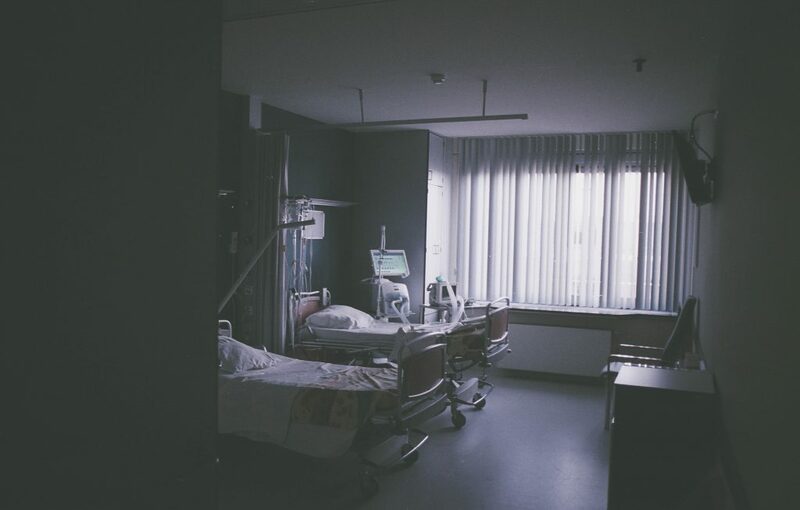 The law passed late last year in Victoria legalises assisted dying, as distinct from euthanasia: doctors will not be directly administering drugs to end patients’ lives, but rather patients will have the right to request a lethal drug in order to end it themselves. The distinction is not a minor one. But the question behind both is the same: what makes life worth – or no longer worth – living? If it takes a culture where pain and suffering are assumed to be largely purposeless to make assisted dying legal, the value that we place on individual autonomy is presumably also a factor. Atul Gawande, in his book Being Mortal: Illness, Medicine, and What Matters in the End , tells the story of Susan Block, a palliative care specialist who teaches doctors how to manage end-of-life conversations with patients and their families. Despite her expertise, when it came to her own father’s illness, she found it incredibly difficult to discuss his wishes with him. 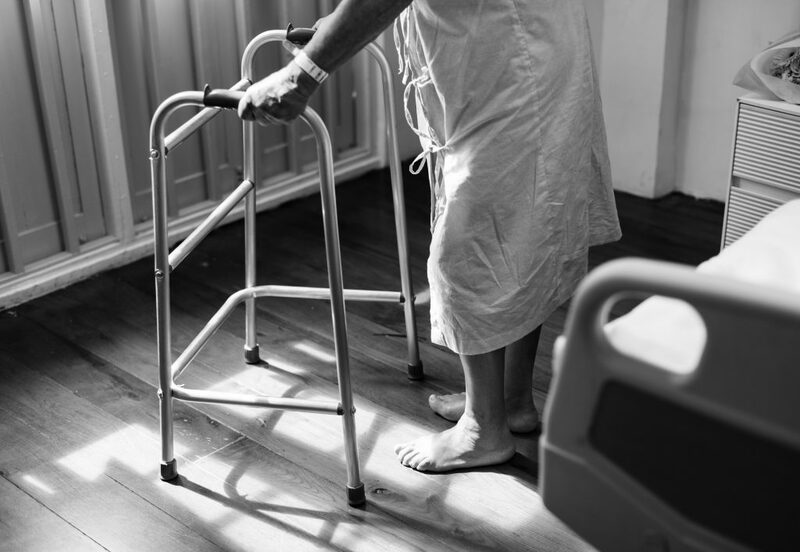 It was a crucial conversation, not least because complications arose following the surgery and Susan was asked by the surgeons whether or not they should proceed, at the risk of quadriplegia and ongoing pain. Would he be able to eat chocolate ice cream and watch football? she asked them. They said yes, and she gave them the go-ahead. What followed was two years of painful rehab and severe disability – as well as ten years of life in which Jack wrote two books and more than a dozen scientific articles. Suffering need not be meaningless; and our humanness may be found as intensely, if not more so, in our limitations as in our supposed autonomy. 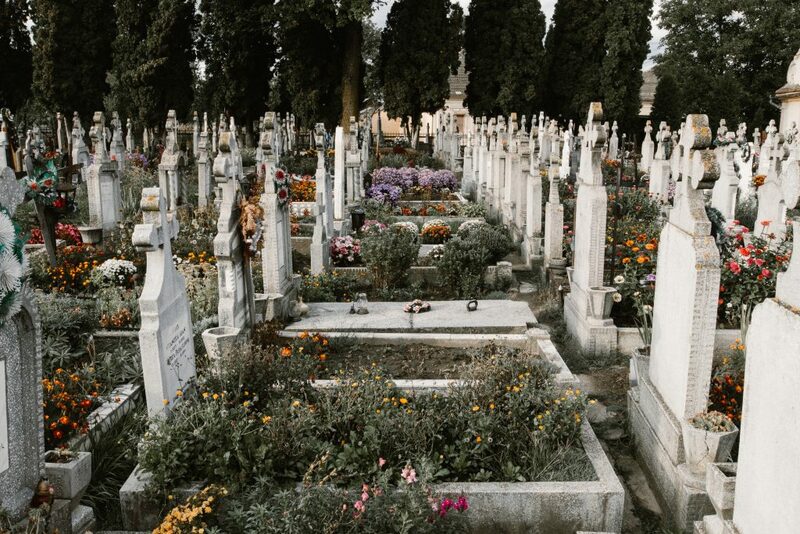 If we tend to measure our lives according to our levels of independence and productivity, then dying “with dignity” will involve choosing death at a time before those things are stripped from us. So the question becomes – a question with profound implications for the most vulnerable among us, including those with life-long disabilities – in what does our humanness consist? Are we most human at our most self-sufficient, or when most interdependent with others? The story of Jack and Susan Block suggests that, when it comes down to it, our lives continue to be valuable to us – and to others – even with the loss of many or most of the things that once gave interest and purpose to our days. Suffering need not be meaningless; and our humanness may be found as intensely, if not more so, in our limitations as in our supposed autonomy. I want to know what it is to die well. I want to be shown. I have no idea if it is a fair or reasonable demand to make, least of all of people navigating the anguish and upheavals of a terminal illness. It doesn’t feel fair at all, actually. Like life. But if there are good or better ways to encounter and engage this universal process; if the chain of that knowledge has been broken, and no generation now alive has retained it; then the art of human dying is one that we will need to rediscover by personal experience and example. We will need to figure out anew how a “good” death can be one of presence, rather than of abdication. It is not, I think, the proposed laws that bother me so much as the cultural framework that has made them look inevitable – that has made an early exit look like the most humane, compassionate option. And just like that, my own culture’s definition of a good death seems thin, insubstantial, impoverished. I feel cheated. I want a richer conversation, a fuller picture. I want to know what it is to die well. This article first appeared in ABC Religion & Ethics.